For as long as I can remember and especially the last 6 years living with multiple food intolerances, I bring food with me wherever I go. It can be anything from a full balanced meal to one snack or two (or more!) if it’s a long day away from home. I take my health seriously and do not chance getting hungry or low while away from home. It is not easy to find food that is free of gluten, corn, nuts, refined sugar and dairy in a pinch. A number of years ago a family physician that worked at my previous endocrinology clinic let me know about a diet exemption card — it allows someone with diabetes to safely bring food with them wherever they go (no restrictions), including the Twins baseball games my husband loves so much! Seldom do I have to pull it out, but tattered and torn and expired since 12/2/09*, it has come in handy a few times to let authorities know there are several important medical reasons I need my healthy food and not the crap sold at concession stands! Of course, if you are enjoying a treat at an event, no judgment at all! I would be partaking once in a while too in nachos, popcorn, ice cream or chicken strips if I could! *Why do these expire anyway? Makes no sense! Another T1 (Thanks Thea!) shared an article this morning of a Type 2 in New York that was escorted out of a movie theater for eating strawberries (link below). Ridiculous! 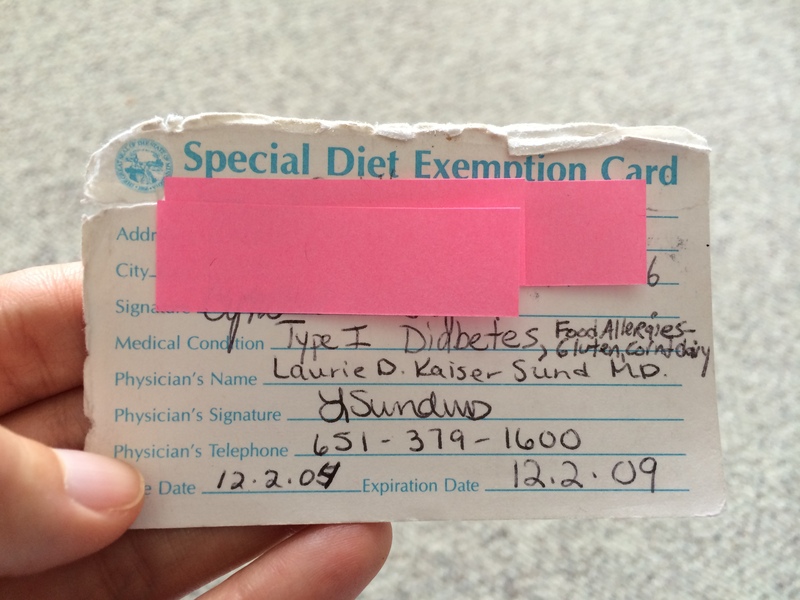 After a google search, I was able to find a new diet exemption card that I was able to print myself (yes, I’ll have to admit, it was an exciting moment for me… lol) – that I’ll have my endocrinologist sign at my next visit. Although this is for the state of Minnesota, I am sharing it here with you to possibly use (I have never had anyone read the fine print on the back of the card) or as an idea to check into if your state may offer this handy and necessary tool to ensure our health and safety as individuals with diabetes and/or food sensitivities/Celiac, etc. I recommend doing a Google search and entering in your state + diet exemption card to see if one is available for your state to guarantee the efficacy of the card for you. Several months ago I found out I was nominated for several WEGO Health Activist Awards for my work with Diabetes Light. I was overjoyed. It is a wonderful feeling to learn that several members of our community went out of their way to share some positive feedback about Diabetes Light to be considered for this special award. Thank you to each of you who submitted your kind words on my behalf. 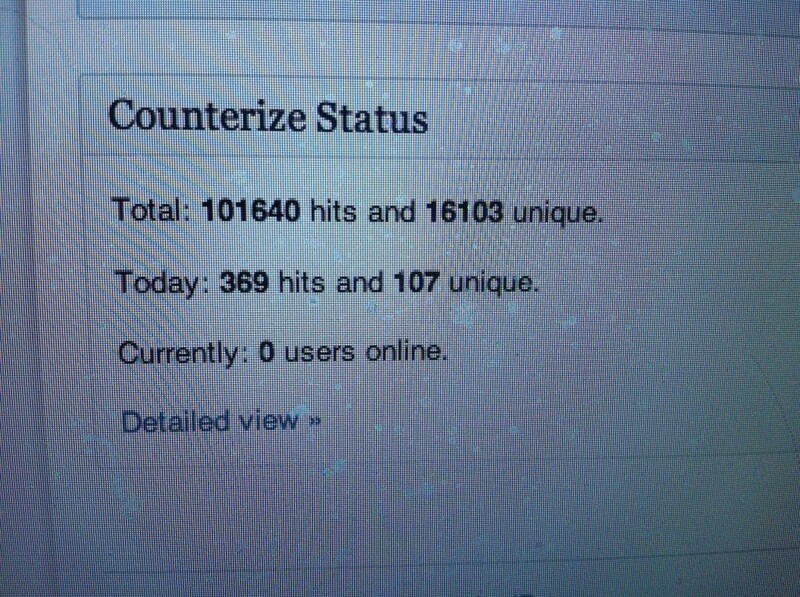 I appreciate it so much!! Today is no D-Day. No talk about the D-word here or on the Facebook page for our Diabetes Light community or in DOC! No D-Day was started by George Simmons of Ninjabetic. Check out his post here – this is where you can also share a link to your post for today. I think this is a terrific idea as our lives are about SO much more than D. I am happy to take part. Thanks George for creating this new and fun way for us to learn a little bit more about each other! Greetings! I am back after a long and busy month that took me away from my writing. It has been a stressful time – but I made it through! And I have some big (good) news to share with you that I will be writing about soon! Isn’t it wonderful in life when there is some sweetness after a time of hardship? I’m happy to be back on the saddle again! Happy Spring to you! 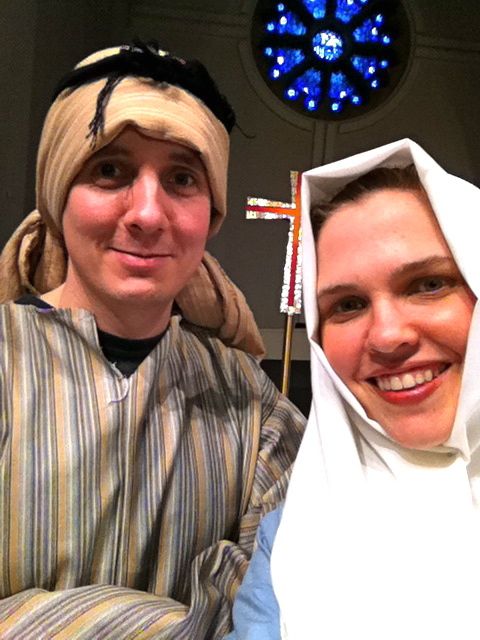 A year ago March I was asked by the worship & music director at my husband Jaim’s church to play a part in a Lenten skit. 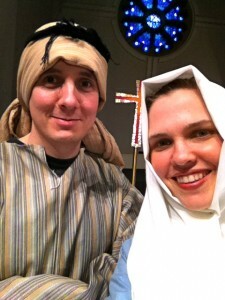 There was to be one skit each week for the 6 weeks leading up to Easter. I was asked to play the role of Mary Magdalene.